WASHINGTON: The two-day meeting of the Federal Open Market Committee that opened on Tuesday came amid signs of underlying momentum in the US economy, despite a dismal December jobs report that raised concerns about the outlook. The last time the FOMC met, most policy makers were confident that the labour market would continue to improve even if they began to reduce the Fed's massive monetary stimulus, according to the minutes of the December 17-18 meeting. The FOMC voted 9-1 to modestly reduce asset purchases by $10 billion to $75 billion a month, beginning January. 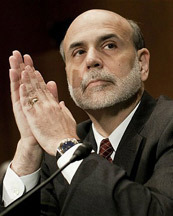 The Fed said it would continue to monitor economic and financial conditions in gauging the pace of its taper. The Central Bank assured that its "sizable and still-increasing holdings" should keep downward pressure on longer-term interest rates and, in turn, promote stronger economic recovery. Recent data including the Central Bank's upbeat Beige Book Survey show the US economy grew at a 'moderate' pace across most regions at the end of 2013. Hiring in most areas was slow but steady, "with few instances of rapid growth but few reports of staff cuts or plant closings," the report said. The housing market continues to rebound from the 2006 crash, although the pace slowed somewhat in the latter part of the year after mortgage interest rates jumped on the Fed's taper signal in May. People have seen their net assets climb, in part due to sharp equities gains supported by the Fed's easy-money policy. 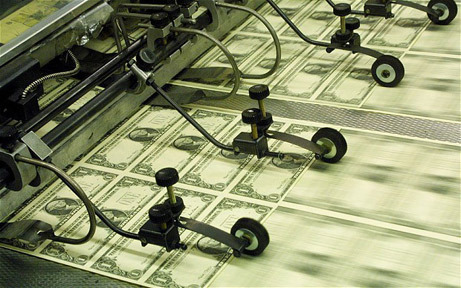 Many analysts concluded that the Fed would taper again by another $10 billion this week and wind down the quantitative-easing program by year-end. "There is little reason to believe that the Committee's economic outlook has materially changed over the past month despite the recent declines in risk assets and the disappointing December jobs report, which policy makers are likely to attribute to adverse weather," Deutsche Bank analysts said in a research note. "The markets are expecting the FOMC to announce another $10 billion tapering at their upcoming deliberations," said chief economist at Mizuho Securities, Steven Ricchiuto. "The ability of the incoming data to alter the course of policy has been diminished by the broad-based market expectation that the FOMC will extend the tapering," Ricchiuto said. Barclays analysts said the market probably would not react much to a new taper cut. The global market sell-off late last week amid concerns about emerging-market economies, which are complaining that the Fed's taper is causing volatility that is hurting their growth potential, was unlikely to dissuade the Fed from halting the process, said Ed Yardeni of Yardeni Research. "Last week's turmoil might make Fed officials realise that their ultra-easy monetary policy has inflated yet another speculative bubble, this time in emerging markets. Taking the air out of it might be wiser than continuing to inflate it."